The hosts of Wednesday’s Democratic presidential debate in Miami took a trip down memory lane — all the way back to 1985 Burlington. As Sen. Bernie Sanders (I-Vt.) and former secretary of state Hillary Clinton courted Hispanic voters at the Univision-sponsored debate, its moderators played a 30-year-old video from the archives of a Burlington public access station. In an interview with CCTV Center for Media & Democracy executive director Lauren-Glenn Davitian, Sanders praised Cuba’s then-president Fidel Castro for providing health care and education to his people. Clinton seized the opportunity to tie Sanders to the communist dictator. After the debate, Sanders’ campaign dispatched a press release seeking to clarify his 30-year-old comments. 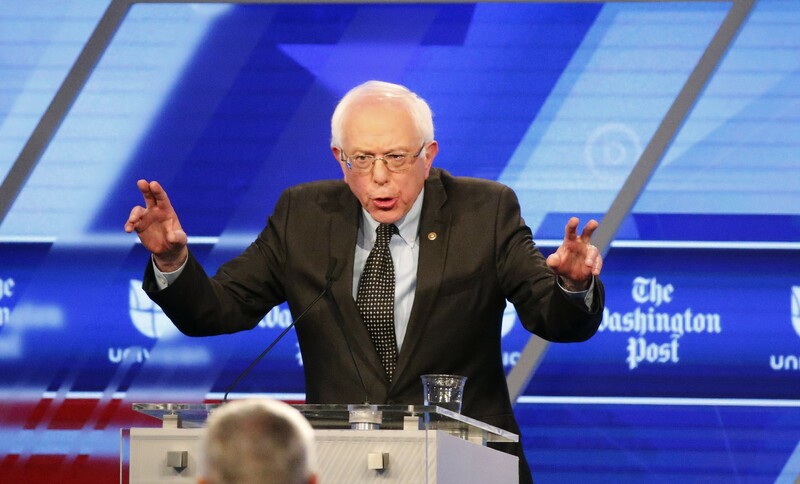 The debate came a day after Sanders surprised the country by winning the Michigan Democratic primary, which pollsters predicted he would lose by 20 percentage points. Addressing the outcome, Clinton would not acknowledge that anything had gone wrong in Michigan. Sanders declined to bite when asked whether he really had a path to victory, despite trailing Clinton by more than 200 pledged delegates to the Democratic National Convention. Sanders repeatedly brought the debate back to Wall Street, portraying Clinton as a friend to the financial industry. “Secretary Clinton was one of those who voted to bail out Wall Street,” Sanders said. He reminded his audience that he would tax financial speculators to pay for free public college. Clinton, in turn, argued that Sanders’ education and universal health care plans would cost more than her opponent would admit. “My dad used to say, ‘If it sounds too good to be true, it probably is,’” she said. “What Secretary Clinton is saying is the United States should continue to be the only major country on Earth that doesn’t guarantee health care,” Sanders countered. Moderators pushed both candidates to address some of their greatest vulnerabilities. Asked why people seem to mistrust her, Clinton said she took responsibility for those perceptions. Sanders, too, was questioned about being a career politician, having served nearly a quarter-century in Congress. The two candidates face key March 15 primaries in Illinois, Missouri, Ohio, North Carolina and Florida.